Immediately immerse yourself in Southern Iceland’s unique cocktail of sights, by choosing to stay in one of our idyllic country retreats. Days can be spent exploring the region and each night return to the comfort of your hotel who between them offer fine dining, hot tubs, spa’s, exceptional service and strikingly scenic locations. 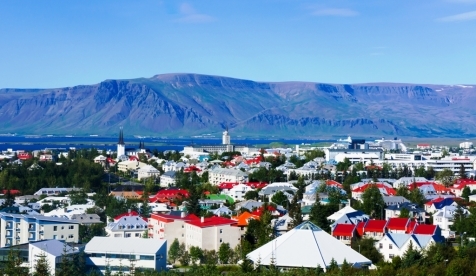 Complete this Icelandic short break by then swopping the countryside for the charm of Reykjavik and an injection of city chic. A ‘must do’ for every visitor to Iceland. See Gullfoss waterfall with its unique 90º turn, the Geysir area gave the world the name and Strokkur still spouts impressively. Last but not least Thingvellir where the early Vikings set up the world’s first parliamentary assembly on the junction of the North American and Eurasian tectonic plates. Seljalandsfoss spills straight off the Fell side dropping into a shallow pool behind which you can stand. Skógarfoss similarly drops straight down into the pool below. Stand on the gravel river bed watching your surrounding world disappear in white mist. Travelling inland is Thorsmork. 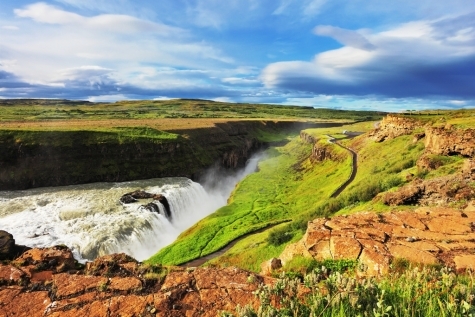 Largely covered by the ash from the Eyjafallajokull eruption in 2010 nature rapidly reclaimed the area and returned it as a summer haven and one of Iceland’s most popular hiking areas with numerous marked trails and magnificent views whatever the weather. Dubbed ‘Pompei of the North’ following the volcanic eruption in 1973, Vestmannaeyjar on the island of Heimaey in the Westman Islands was largely destroyed. View the ongoing project to recover some of the 400 buildings that were covered by the lava and ash. Take a walk and enjoy the still warm earth that surrounds Eldafell or a boat tour of the uninhabited islands. Travel as a foot passenger or take your car on the ferry which sees up to 5 departures a day in the summer and takes just 30 minutes from Landeyjahofn. 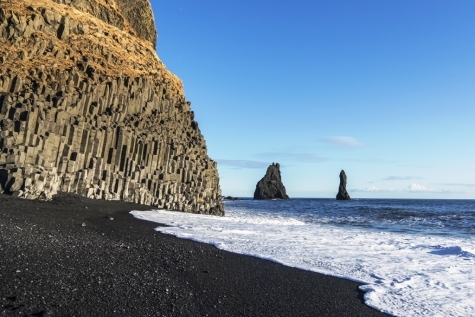 Visit the birdcliffs at Dyrholaey and the black sand beaches near Vik. Reynisfjara with its basalt caves is particularly memorable. At leisure to explore your surroundings. Drive to Reykjavík for a final night at the Hotel Centrum. 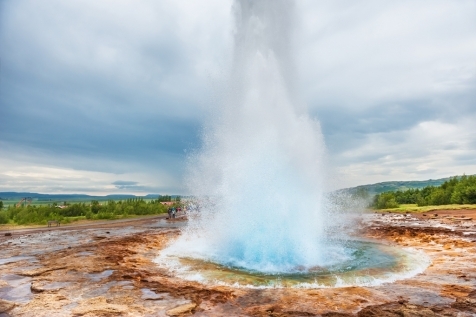 Enjoy Reykjavik or depart for a morning bathe in the Blue Lagoon before continuing to Keflavik for your return flight to the UK. Set in lush meadowland against a backdrop of Mount Hekla and Eyjafallajokull in the distance is Hotel Ranga. Just under 1½ hrs easy drive from Reykjavik, this ranch style hotel is a ideal for those desiring luxury charm and comfort in the heart of the countryside. An acclaimed gourmet restaurant prides itself on using the finest locally sourced ingredients including fish from Iceland’s finest Salmon River situated next to the hotel. The cosy and amply stocked bar is ideal for an aperitif and snug seating areas offer a place to unwind, read a book, play a board game or billiards. A wide choice of accommodation includes standard rooms with private WC/bathtub and shower, larger deluxe rooms have a sofa, tea/coffee making facilities and indoor Jacuzzi baths. The crowning glory are the junior and master suites designed and themed after 7 continents and which feature authentic fixtures, fittings and artwork sourced from the respective destinations. 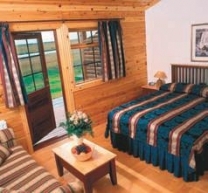 All rooms have views of the river or Mt. Hekla Volcano and access to the hotel’s outdoor hot tubs where you can relax under a star lit sky. Away from any urban light pollution the hotel is a perfect spot for catching the Northern Lights further assisted by a personal Aurora Alarm should they appear after you have retired to the comfort of your room. Hotel Grimsborgir is Olafur Laufdal and Kristin Ketilsdottir’s homage to Nordic chic and design. Each hotel room and apartment has been individually crafted by the couple and staying there is akin to being invited into their home. Just 1½ hours. drive from Keflavik International Airport, the hotel is set in splendid isolation on the banks of the River Sog. The unassuming exterior conceals an absolute gem, which has deservedly won TripAdvisor’s Certificate of Excellence three years in a row. Each designer room benefits from its own deck and has access to a number of hot tubs. Upgrade to a 2-bedroomed deluxe studio or 4-bedroomed villa and you will have your own kitchen/diner, ‘grounds’ and private hot tub. Where possible, Olafur even ensures that your national flag is flying outside your abode. The restaurant menu focuses on locally sourced products including salmon, trout and cod and there is often musical entertainment that reaches through into the bar area, complete with open fireplace and wing-backed chairs. Part sitting on cantilevered pillars on the slopes of Mount Hengill rising up from one of Iceland’s most active geo-thermal lava fields, the Ion perfectly blends eco- style and luxury. Inside everything is minimalist Scandinavian chic with furniture, tables, wall decor and even the hot pool fashioned in rectilinear shapes. Natural concrete walls and extensive floor to ceiling picture windows showcase the surrounding views. There is a mixture of standard and deluxe rooms equipped with hard wood flooring, down duvets, WI-FI, TV, hairdryer, kettle and come with bathrobes and slippers. The restaurant and striking Northern Lights bar offer menus of fresh local ingredients cooked with a twist. You can also book a restorative spa treatment following your day’s exertions.